Who is Xtul? What is Xtul? Why is Xtul? Some people have written to me expressing confusion about Xtul, and what it is doing on this blog or on Facebook. I would like to say that the answer is simple, but I am afraid that nothing to do with Xtul is simple. It is an art project, it is a serial, it is a story, it is a peculiar music ensemble, it is a political movement, it is a way of life, it is your worst nightmare. It is all, or none, or some of these things. It has a website, an EPK, a Facebook page, and if you feel like supporting it, there is even a Patreon page that all the throngs of people who read it, and there are more than you might ordinarily think, have so far singularly failed to support. One of the most welome developments in the pop culture of the past twenty years has been the totally unexpected resurrection of Brian Wilson as a creative force to be reckoned with. OK, I am not a fan of his Disney album, and as I dislike what is euphemistically known as the 'Festive Season' and I am not particularly enamoured of his Christmas album, although I will admit that it is head and shoulders above most music in that unlovely genre. His Gershwin album was pretty good, but all his records of original material, and the album he wrote for The Beach Boys' 50th anniversary record have been excellent. These fall into two categories: important issues to consider when preparing a cryptozoological paper; and the style of presentation required for submissions to the journal. The Journal of Cryptozoology aims to publish papers of equal rigour to existing mainstream science journals. Cryptozoology is a controversial topic. Consequently, the following guidelines suggest important issues to consider when preparing a cryptozoological paper, in order to pre-empt common criticisms that might be made by reviewers. 1 The scientific literature works from the existing consensus. By definition (i.e. Heuvelmans, 1988), there is no consensus on whether the putative animals behind cryptozoological reports exist. Therefore papers submitted to the Journal of Cryptozoology should not start from a premise that a specific animal species does exist (except to make predictions about the evidence for it that might be found in future or to develop methodology). Papers can of course present evidence for the existence of unknown animals, and argue against the existing consensus. 2 Papers should work from the existing scientific consensus with regard to other arguments as well. This does not mean non-consensual assumptions cannot be made but that if such assumptions are made, they should be justified by reference to evidence. For example, if an author believes that certain bipedal tracks are made by a putatively still-extant prehistoric animal that palaeontologists assume is quadrupedal (and extinct), then some evidence for the presumed animal’s bipedality, independent of the tracks, should be given. 3 Professions of personal belief in particular cryptids are not part of a scientific paper, but personal experience of seeing putatively unknown animals may be suitable for publication. 4 It is particularly important that authors should not presume the zoological identity of a particular cryptid (see also Point 17 below), nor should language be employed that implies the identity is unequivocally known. Papers can of course argue for a particular zoological explanation for a certain set of reports, given particular evidence and test hypotheses concerning particular identities. 5 Authors should be aware of and cite the relevant scholarly literature on the topic in question. The use of Google Scholar or similar search engines allows basic searching of the scholarly literature by people outside of research institutions. References used should be scholarly where possible, and definitely from print media or an online equivalent. Ephemeral references should not be used except as an absolute last resort. Non-scientific blogs and similar articles are generally unacceptable as sources in formal papers, as is Wikipedia. 6 Authors should be aware that words can have a technical meaning within certain fields that is different from that in general use. For example, the terms 'accuracy' and 'precision' have specific technical meanings in statistics, although the words are often considered synonymous by the general public. Likewise, 'bug' as a strict zoological term is restricted to one particular taxonomic order of insects, as opposed to its more general use in North America for almost any terrestrial arthropod. Unlike conventional zoology, cryptozoology often uses eyewitness testimony as a potential source of evidence. Authors should be aware of the numerous biases associated with eyewitness testimony in general (e.g. Loftus, 1996) and in a specifically cryptozoological framework (e.g. Arment, 2004; Paxton, 2009). 7 Given witnesses cannot, by definition, know what it is that they are reporting, they cannot necessarily gauge their own accuracy or precision. 8 Authors should not necessarily assume eyewitnesses are correct in their identification of body parts and/or the taxonomic affinities of what they are reporting. In addition, there may also be ambiguity in the eyewitness reports. For example, is a reported 'mane' a lion-like mane or a horse-like mane or something different from both of these? 9 Just because reports come from a given area does not mean they have the same origin. 10 Just because reports are hypothesised to have the zoological source (i.e. cryptid) does not mean they actually have the same source. For instance, a given report of a bigfoot could be of an unknown animal, of a man in a gorilla suit, or of a variety of known animal. The origins of reports superficially of the same type need not be consistent in space. 11 Catalogued eyewitness reports are an outcome of a long process that includes acquisition (i.e. the perception of the original event), retention (i.e. memory), retrieval (i.e. recollection), transmission, and recording (Loftus, 1996; Paxton, 2009). At each and every stage, biases may creep in, which means that accessible reports may represent a very inaccurate and imprecise sample of what was actually seen. 13 The most frequent source of bias in cryptozoological reports is that they record presence only. If conclusions want to be drawn from reported occurrences or report frequencies, then this can only really be done if search effort (e.g. man-hours searching, area searched, effort in collecting reports, etc) is known. 14 It follows from Point 13 that raw quantification of reports without taking account of search effort cannot be used to infer putative habitat preferences of cryptids, etc. 15 Trends in features of reports, if real, may reflect cultural changes of biases in the reporting process rather than changes in the biology of the putative animals, if any. 16 Wherever possible, the original wording of reportees should be used. Authors should avoid interpolating meaning to witness statements unless absolutely necessary. 17 Cryptids are hypothetical constructs of what the putative source of eyewitness reports might be. The raw data of eyewitness-based cryptozoology is reports. Data and hypotheses should not be confused. It is therefore inappropriate to state "bigfoot occurs in the forested areas of British Columbia", when what is incontestably true is "bigfoot reports come from the forested regions of British Columbia". All conclusions in the Journal of Cryptozoology should be evidence-based - where the premises, data, and chain of reasoning leading to the conclusion are clearly stated. Every point made must be justified either through evidence and argument supplied within the paper or by reference to existing published literature. Care should be made in distinguishing between possible explanations of things, of which there are an infinite number, and probable explanations of things, of which there are few and which are of rather more interest to the readership. Probable rival hypotheses for explanations of certain phenomena should be explicitly stated and the reasons for rejecting/accepting a particular hypothesis over others explicitly given. See also Arment (2004) and Paxton (2011) for more commentary on the methodology of cryptozoology. Heuvelmans, B. (1988.) The sources and methods of cryptozoological research. Cryptozoology, 7: 1-21. Paxton, C.G.M. (2011). 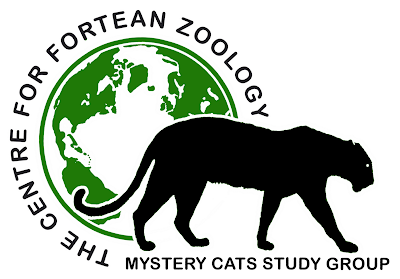 Putting the "ology" into cryptozoology. Biofortean Notes, 1: 7-20. All submissions must be original manuscripts not previously published elsewhere or submitted elsewhere simultaneously with submission to this journal. All submissions will be sent to two members of the journal's peer review panel for their opinions concerning content, clarity, and relevance to cryptozoology. Their comments will then be studied by the editor whose decision is final concerning whether or not the manuscript is published, subject if necessary to amendments by the author(s) if suggested by the reviewers. The copyright of all published papers belongs to this journal. (3) expired, i.e. in the public domain. The article should be preceded by a 200-word abstract, and should be divided into relevant subtitled sections. A reference list can be included at the end of the article; if so, this and the accompanying in-text citation style should correspond with the preferred version outlined below. Its subject should be original research (but not fieldwork) conducted by the author(s). It should be of comparable length to or shorter than discussion/review articles, but with a minimum count of 1000 words. It can also include clearly labelled and numbered b/w photographs, artwork, tables, or maps, provided that the copyright of these falls into one of the three above-listed categories. The article should be preceded by a 100-200 word abstract, and its main text should be split into four sections – Introduction, Materials and Methods (or Description where more appropriate), Results/Interpretation, Discussion/Conclusions. A reference list can be included at the end of the article; if so, this and the accompanying in-text citation style should correspond with the preferred version outlined below. Its subject should be fieldwork conducted by the author(s). It should be of 1000-2500 words in length. It can also include clearly labelled and numbered b/w photographs, artwork, tables, or maps, provided that the copyright of these falls into one of the three above-listed categories. The article should be preceded by a 200-word abstract, and its main text should be split into four sections – Introduction, Description (in which the fieldwork undertaken is described), Results, Discussion (which should also include details of any future plans). A reference list can be included at the end of the article; if so, this and the accompanying in-text citation style should correspond with the preferred version outlined below. All in-text citations should be: author(s) surnames, comma, year of publication, all in parentheses. If the cited reference has more than two co-authors, give only the first surname followed by et al. Examples: (Jones, 1987), or (Jones and Jones, 1987), or (Jones et al., 1987). Smith, J.C. (1987). The History of Cryptozoology. Jones and Son (London). Smith, J.C. and Jones, J.A. (1987). The History of Cryptozoology. Jones and Son (London). Smith, John C., et al. (1987). The History of Cryptozoology. Jones and Son (London). Smith, John C. (1987). Investigation of an unidentified lizard carcase discovered in Senegal. Journal of Lizard Studies, 33 (no. 2; September): 52-59. Smith, John C. (1987). Mystery cat on the loose in Wales. Daily Exclusive (London), 4 February: 23.
http://www.karlshuker.blogspot.com/2012/02/quest-for-kondlo-zululands-forgotten.html 21 February. Accessed 29 January 2013. If no author is given, simply begin the reference with Anon. and then give the article's publication year, title, etc as above. References inserted directly in the paper's main text should take the form of: Smith (1988), Jones (1989). Or, if cited within brackets in the main text, they should take the form of (Smith, 1988; Jones, 1989). Always utilise the UK-English spelling variant of a given word if it differs from the American-English equivalent, e.g. colour, not color; organise, not organize; through, not thru; grey, not gray. In text, please insert only a single space, not two spaces, between the full stop (period) at the end of one sentence and the capital letter beginning the first word of the next sentence. Wherever possible, the metrical system of measurements should always be employed in manuscripts. However, when directly quoting historical documents that contain imperial measurements, it is permitted to retain these for purposes of accurate reporting, provided that their metrical equivalents are included directly alongside them in square brackets, e.g. 1 ft [30 cm]. ON THIS DAY IN 513 - Explorer Juan Ponce de Leon claimed Florida for Spain.